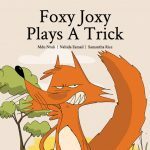 Foxy Joxy, a sly fox, sells watermelons. One day he has a clever idea. The animals were not happy. What will they do to teach him a lesson? 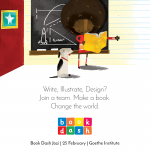 Created at Book Dash Jozi on 25 February 2017 by Nahida Esmail (writer), Mdu Ntuli (illustrator) and Samantha Rice (designer). Edited by Margot Bertelsmann.